For over sixty years Katy’s has been smoking premium grade No. 1 King Salmon (Chinook). Most of our fish are caught by hook and line and all are ocean fresh quality. The process we use to cure and smoke our fish is entirely natural and takes up to three days to complete. The Europeans call it Kippering, and it is defined by the manner in which the fish is first smoked without heat, and then gradually the temperature is raised during alder smoking un til the fish is completely cooked. We take no shortcuts and never use chemical additives or coloring agents! Katy learned to smoke fish from her friends at the Yurok Indian Nation and was careful to include all steps required to do a perfect job. 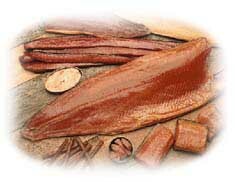 Now you too can enjoy her great tasting gourmet style original recipe smoked fish at home. Just order some today and we’ll send it out immediately. We now smoke over fifteen different products and are sure to have the perfect gift or treat for any holiday, birthday or special occasion. And remember, if you need recipes, just click on the button above! For over sixty years Katy’s has been smoking premium grade No. 1 King Salmon (Chinook). Most of our fish are caught by hook and line and all are ocean fresh quality. The process we use to cure and smoke our fish is entirely natural and takes up to three days to complete. Wild King Salmon has a texture, color and flavor that is far superior to all other salmon and available only in California and the Pacific Northwest. Katy’s carefully hand smokes the filets with alderwood to produce a medium moist smoked salmon. Solid White Albacore Tuna. It makes the best tuna fish sandwiches! We recommend that you do not drain any juices from the product during or prior to preparation. Taste the difference! Giant 7.5oz can. Take advantage of the savings on an 18, 24, 36 or 48 can case. Buy some today. Solid White Albacore Tuna with a touch of jalapeno. We recommend that you do not drain any juices from the product during or prior to preparation. 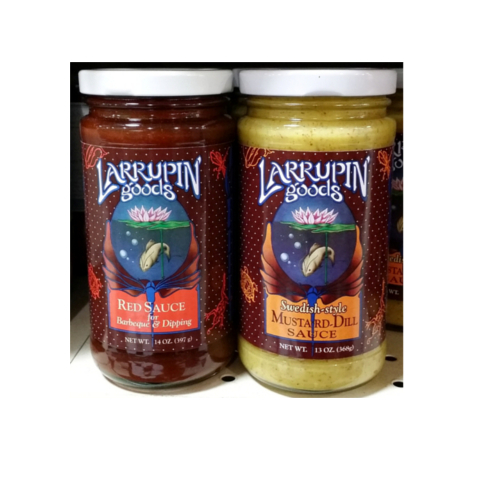 Taste the difference! Giant 7.5oz can. Stock up and take advantage of the savings on a case. Buy some today. 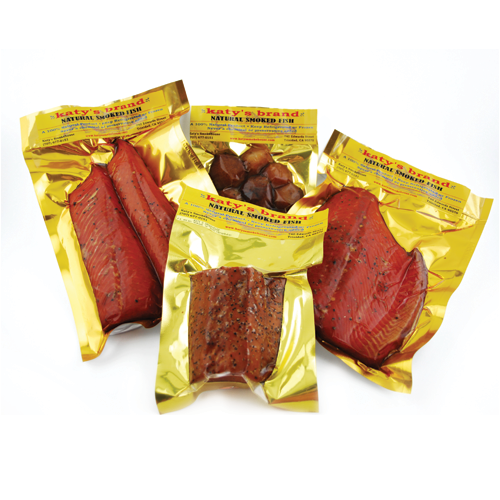 We carry only wild caught products. Our albacore tuna comes from pole and troll fleets in the North Pacific working in the United States. According to Seafood Watch albacore tuna caught in the North Atlantic and Pacific Oceans with trolls or polls is a “Best Choice.” The population is healthy in the Pacific and trolls and poles have very low bycatch. We place hand-cut sashimi grade tuna steaks in each can, retaining all the natural juices and Omega 3 oils, without adding any liquid. This is 100% pure tuna and sea salt so there is never any need to drain. 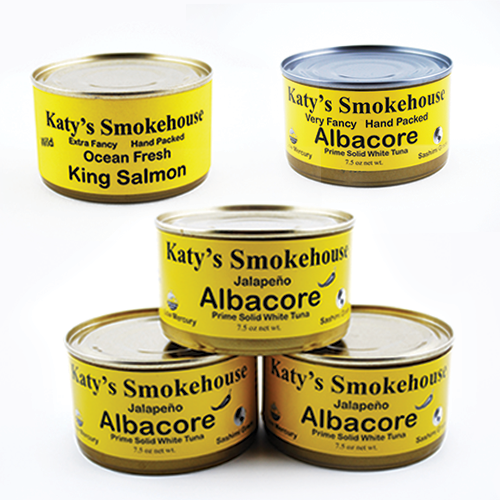 Now you too can enjoy Katy’s great tasting gourmet style original recipe smoked fish at home. Just order some today and we’ll send it out immediately. We are sure to have the perfect gift or treat for any holiday, birthday or special occasion.